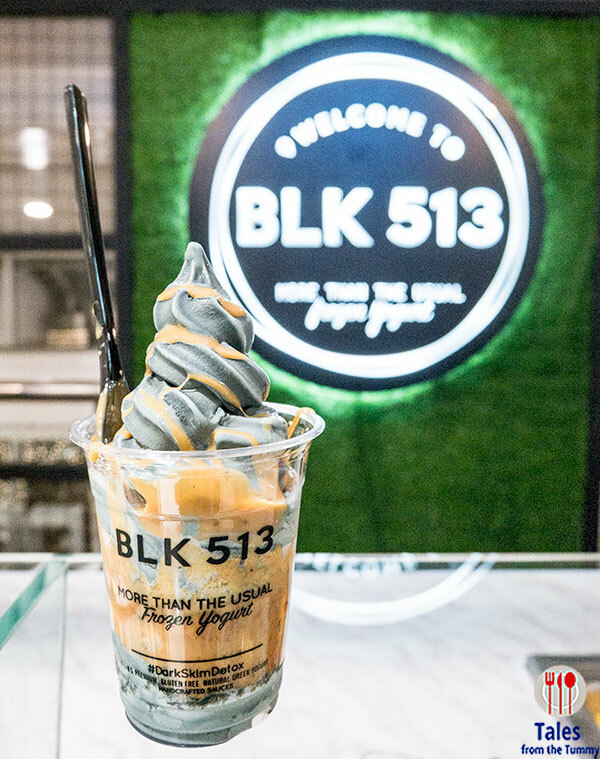 BLK 513 (block 513) is the new frozen yogurt place to try in SM Megamall. 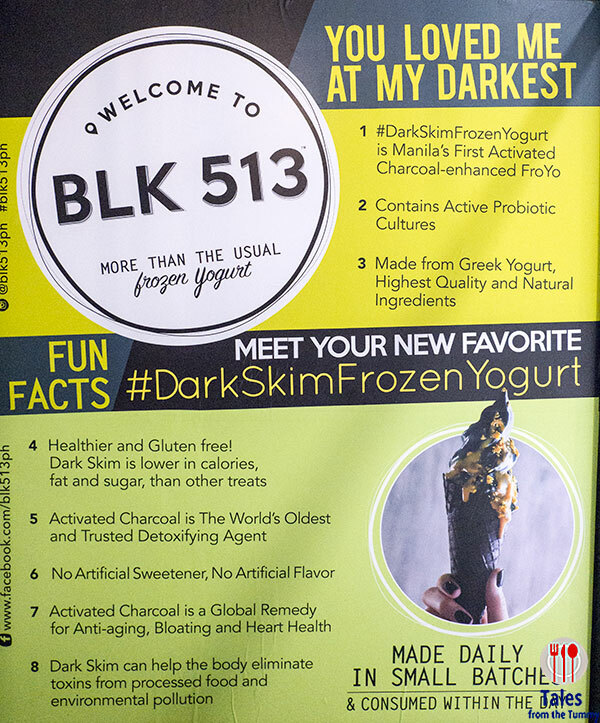 What sets it apart is the use of activated charcoal and Greek yogurt. It’s located in the 2nd floor of building A, beside Payless. It’s a takeout stall with just one table on the side. I had passed by the board up a couple of days before and actually thought it was a retail shop so was really surprised to find out what it was. 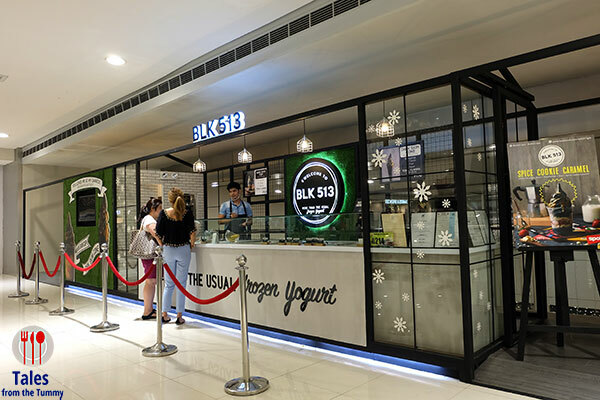 Here’s a list of the benefits of having BLK 513’s dark skim frozen yogurt. They only have 2 products at the moment, the Dark Skim Cup (P185) and the Dark Skim Cone (P170). 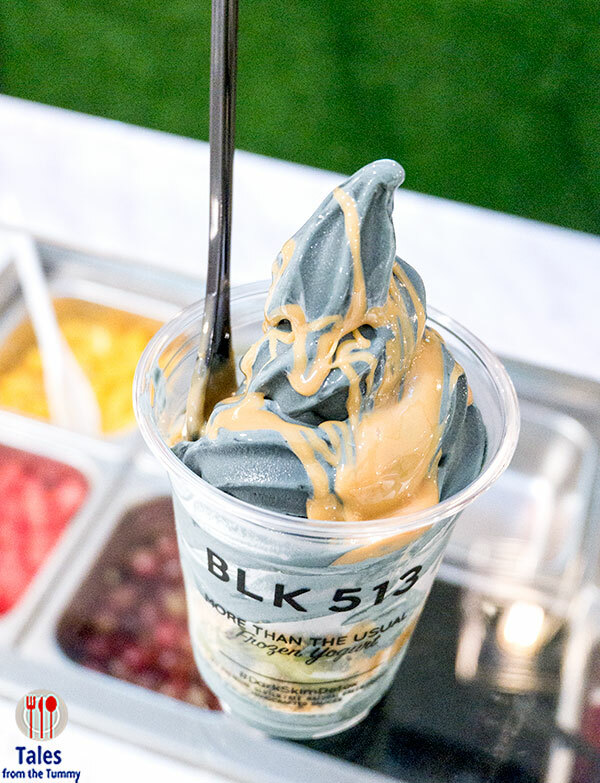 Every order at BLK 513 takes a while to build because they do it layer by layer so you are not left with no toppings halfway through. Irene and I chose the cup, we’re both not fans of chocolate and cones. The frozen yogurt is cerulean blue in color not black as I thought it would be. 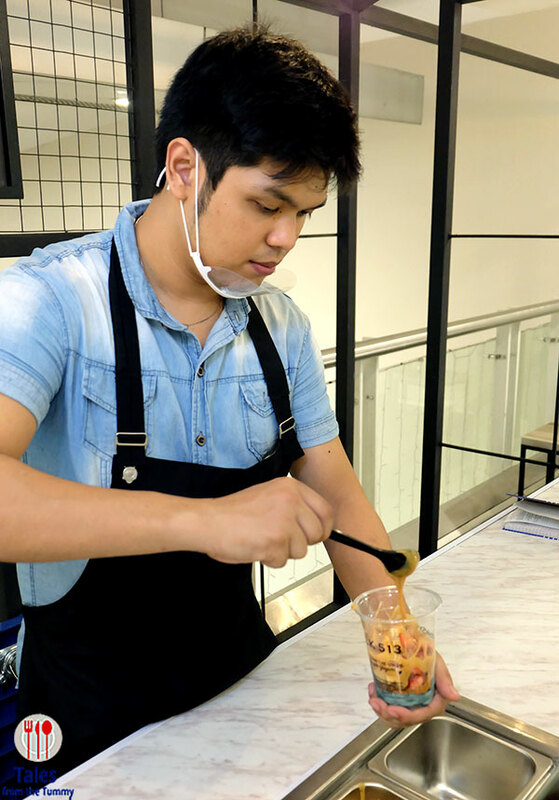 Each cup comes with 4 toppings (1 crunch, 2 fruits and 1 sauce) of your choice. 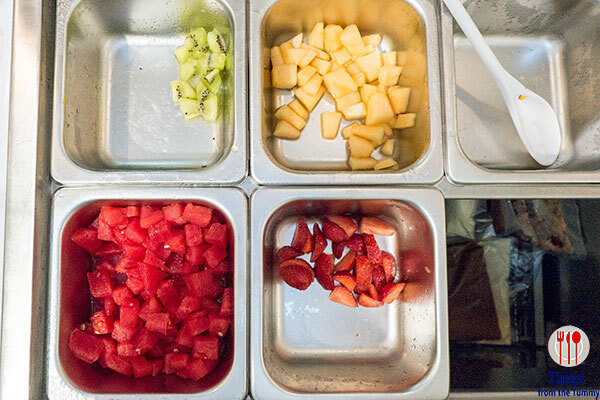 All the toppings are displayed so you can choose for yourself. This is Irene’s dark skim cup with Caramelized Cookie crunch, strawberries, peach and Espresso latte sauce. Here’s mine with Fool’s Gold crunch, kiwi, peaches and Milk Jam (caramel) sauce. Irene and I both love the tart, creamy and smooth frozen yogurt. The toppings really add a lot of textures and different flavors that work really well with the cold treat. If you are not sure about the combinations, you can ask the staff for recommendations. Lauren has already been bugging us to bring her to try BLK 513, we just did not tell her that we both want another fix for ourselves. I hope they offer plain cups in the future in case you are not in the mood and also a smaller size especially for children who might not be able to finish the big cup. I’ve tried it and it’s really good! glad you enjoyed it like we do also. 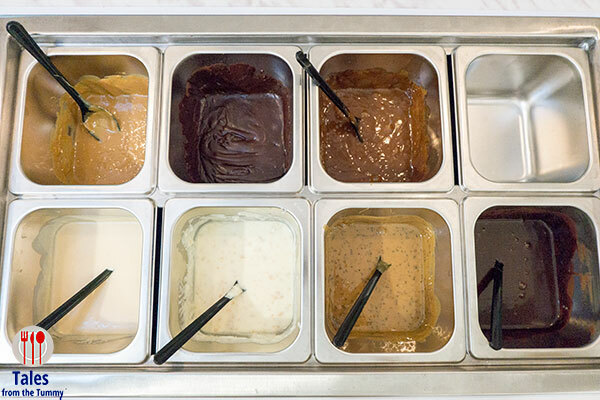 what happened to your poo after trying the froyo?